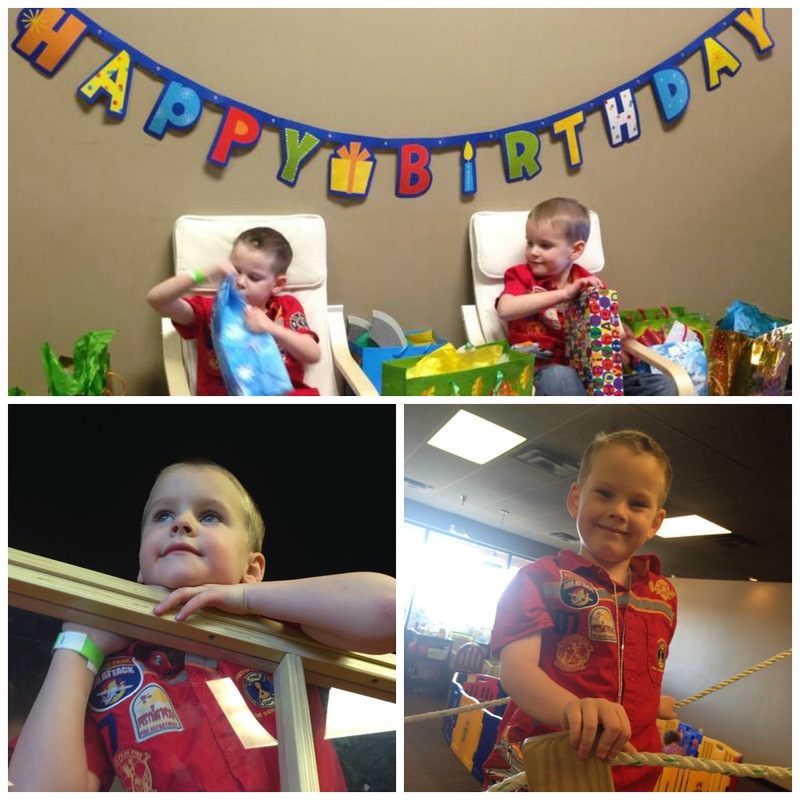 Last weekend the boys' had their 5th birthday. It is hard to believe that they are getting so big. 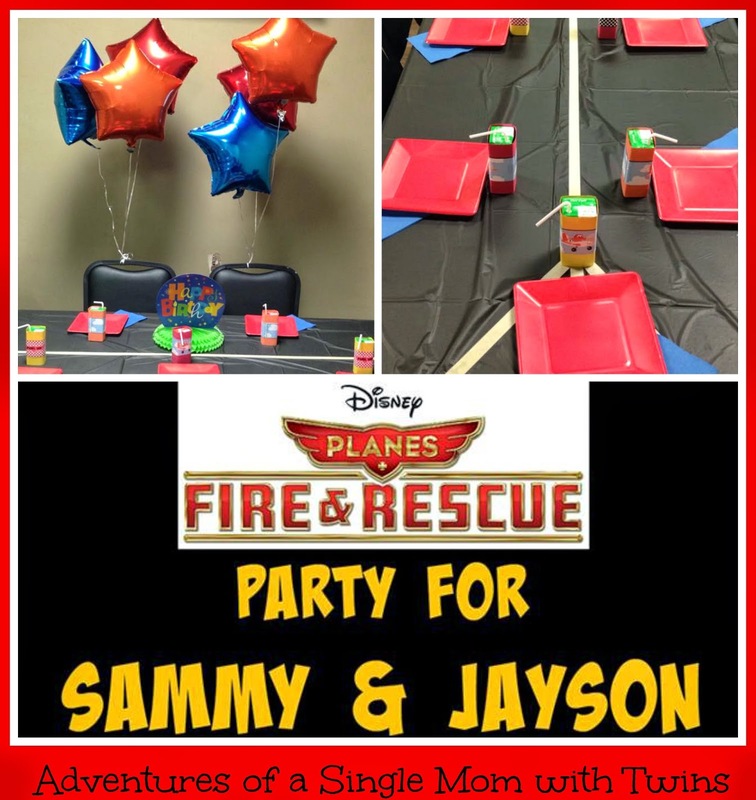 They have been asking for a Dusty #Planes Fire and Rescue birthday party since they saw the movie. 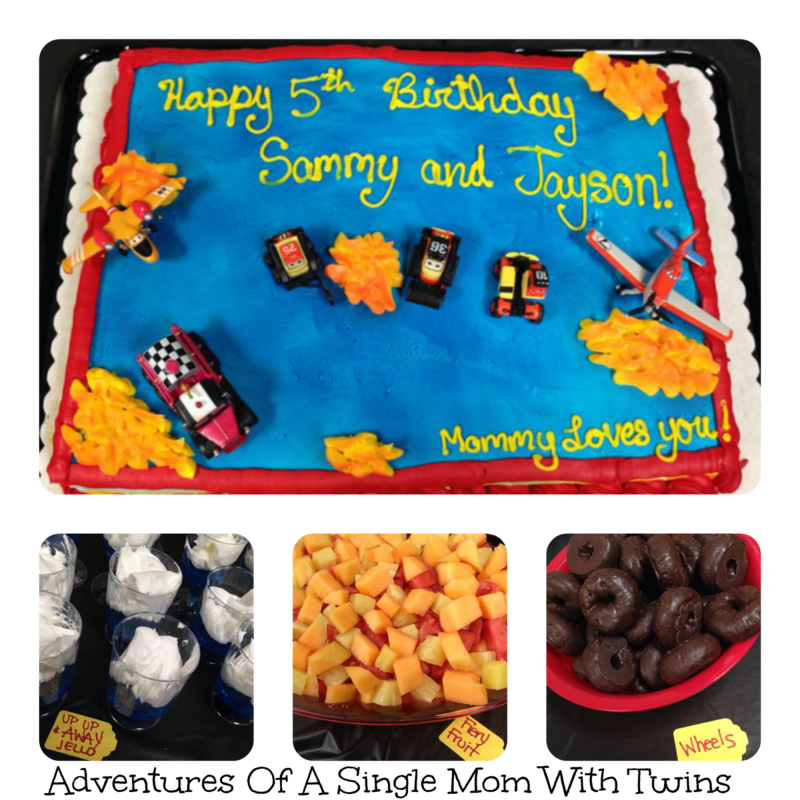 Typical mom to spoiled boys, I did my best! This is the invite. I used PicMonkey to create it. I then printed off 25 copies as 4X6 photos and the boys invited their whole class. This year I decided to not host the party at home. I wasn't able to go to infinity and beyond with the party prep but it saved a lot of time and stress. 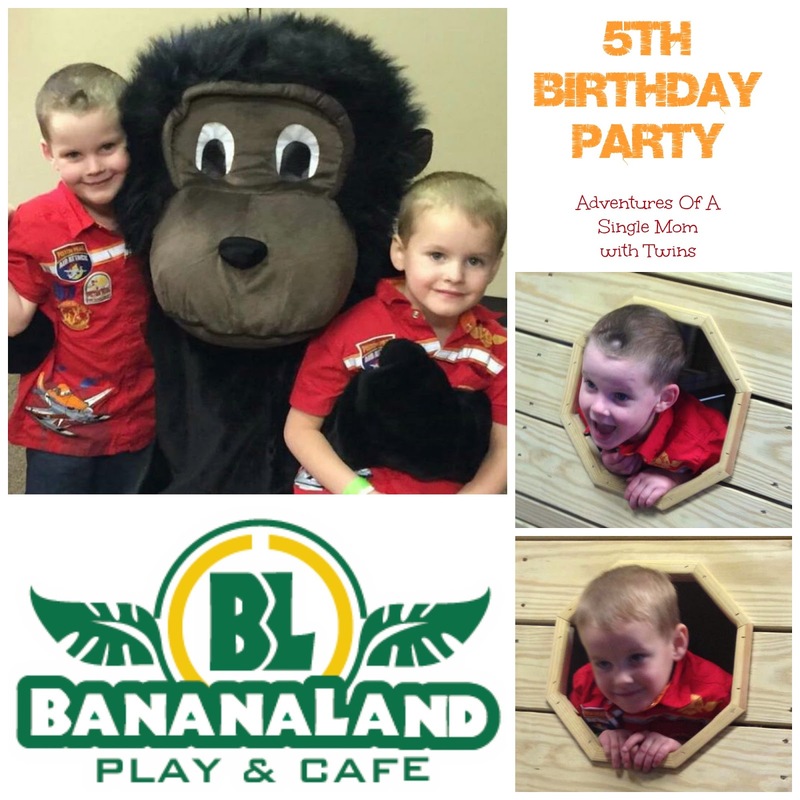 Instead we had our party at BananaLand Play and Cafe. It is a great new place in Flagstaff, AZ. They offer a play area for children supervised by their staff. Parents can sit in the cafe and enjoy yummy food, coffee drinks and relax while the kids use up all that energy. They even have wi-fi! Take a look at our party. 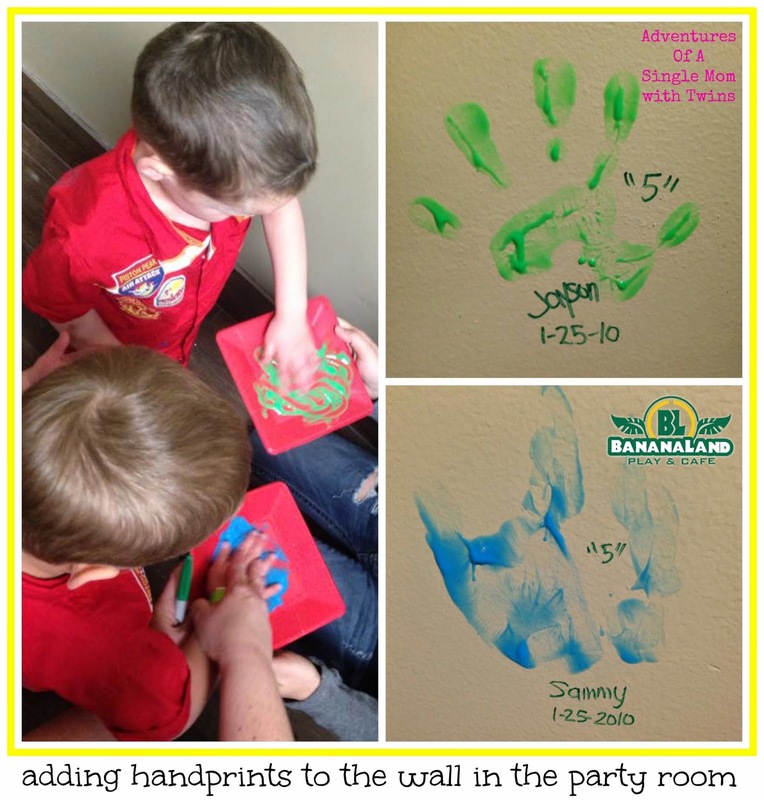 The boys had a blast at the party. 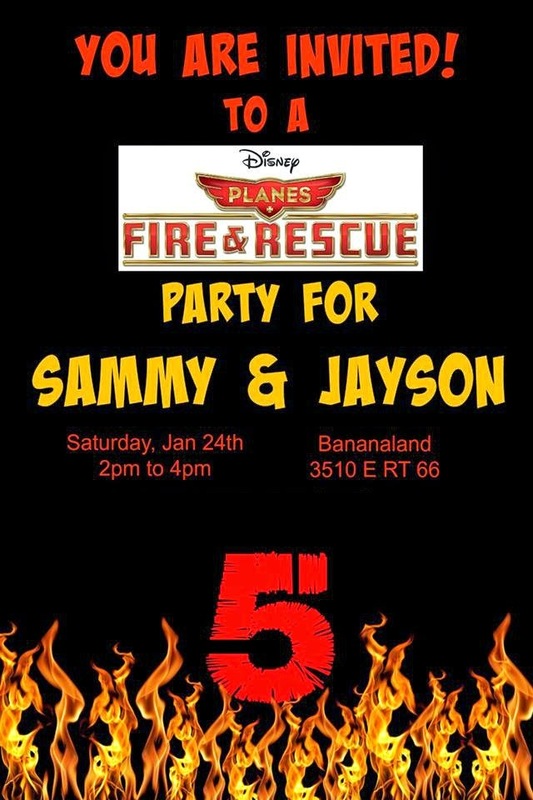 They had been telling strangers about the Fire and Rescue party at BananaLand for months. They have a boat in the middle of the room for the kids to play on. The monkey/gorilla came out to sing and dance with the kids during the birthday party. Almost all the kids took pictures and gave high-fives. The cake was made by our friend Mikala. She works in a bakery. I was a little hurt that the boys didn't want me to make their cake this year, but it saved me a lot of time. Plus having 30 guests meant we needed a lot of cake! The Up, Up and Away jello was super simple. I put blue gelatin into plastic cups from a dollar store and added a dollop of whipped topping. I wish I had bought more gelatin because each serving was on the small size. It seemed to be enough for 5 yr olds though :) The Fiery Fruit was adjusted from an idea I saw on Pinterest. The original idea used toothpicks for mini fruit ka-bobs. I wanted to be a little safer, so I skipped that and just cut up the fruit. I used watermelon, cantaloupe and (canned) pineapple. The Wheels were chocolate frosted mini donuts I bought in bulk. Super easy and a handheld treat for all the kids. Some of the parents never left the cafe. They took advantage of kid free break and sampled BananaLand's new menu. They offer foods containing NO partially hydrogenated oils (Trans-Fats), high fructose corn syrup, artificial sweeteners or MSG! 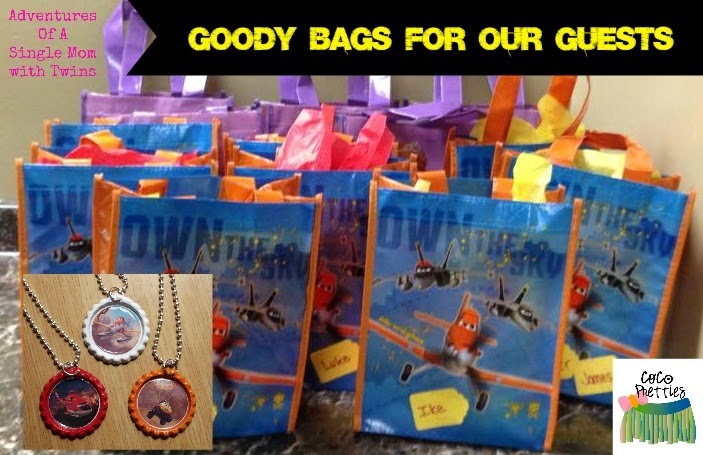 What would a birthday be without a goody bag? We purchased small tote bags from a dollar store. Added in some small toy planes, candy and a bottlecap necklace. 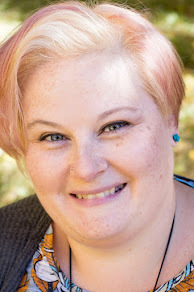 I had all the supplies from my small business, CoCo Pretties. We had a great day and I was so glad to celebrate with so many friends. Thanks! You should take your monkeys to BananaLand! Check out the giveaway for a chance at a $25 gift card. You could let your child loose in the play area and enjoy some yummy food.